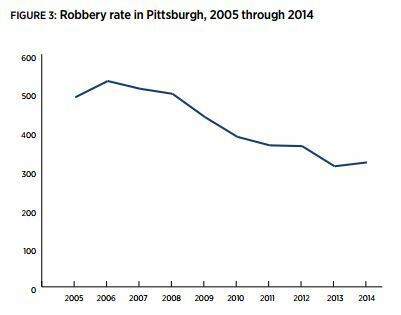 Robbery rates declined, remaining among the lowest in the Pittsburgh Today comparison group. Robbery was most prevalent in neighborhoods historically beset by violent crime, including Homewood, Garfield and the North Side. Victims of robbery were disproportionately young and male, with high rates of victimization among African Americans. Robbery clearance rates were higher than those of comparable cities, but varied depending on the location of the crime and the demographics of the victim.